Delicious clusters of puffed rice, linseed, pepitas and buckwheat. Crafted with rich flavours Pink Lady Apple & Pecan. This product is made with non GMO ingredients. 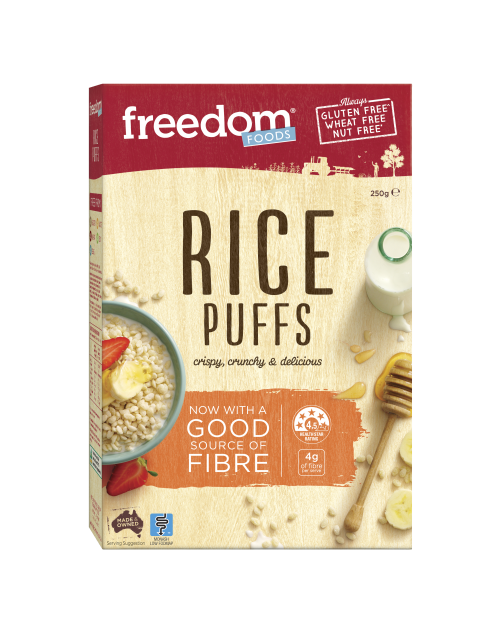 Gluten Free Cereals (39%) (Puffed Rice (Rice Flour, Sugar, Salt, Golden Syrup), Rice Flakes (Rice Flour, Maize Flour, Psyllium Husk, Apple Juice Concentrate, Sugar, Salt, Emulsifier [Sunflower Lecithin], Sunflower Oil), Corn Flakes (Corn Flour, Resistant Dextrin [Prebiotic Fibre], Sugar, Maltodextrin, Golden Syrup, Salt, Sunflower Oil), Puffed Amaranth), Seeds (14%) (Linseed, Pepitas, Buckwheat), Glucose, Brown Rice Syrup, Pink Lady Apple (7%) (Apple, Antioxidant [Ascorbic Acid]), Pecans (5%), Sunflower Oil, Caramel Flavoured Pieces (3.5%), Chicory Root Fibre, Natural Flavours, Tapioca Dextrin, Antioxidant (Vitamin E). May be present: Milk, Peanuts, Sesame Seeds & Soy. Take the journey with us and let your taste buds discover our delicious new range from our new facility in Dandenong, Victoria. Oven baken crunchy clusters (YUM). 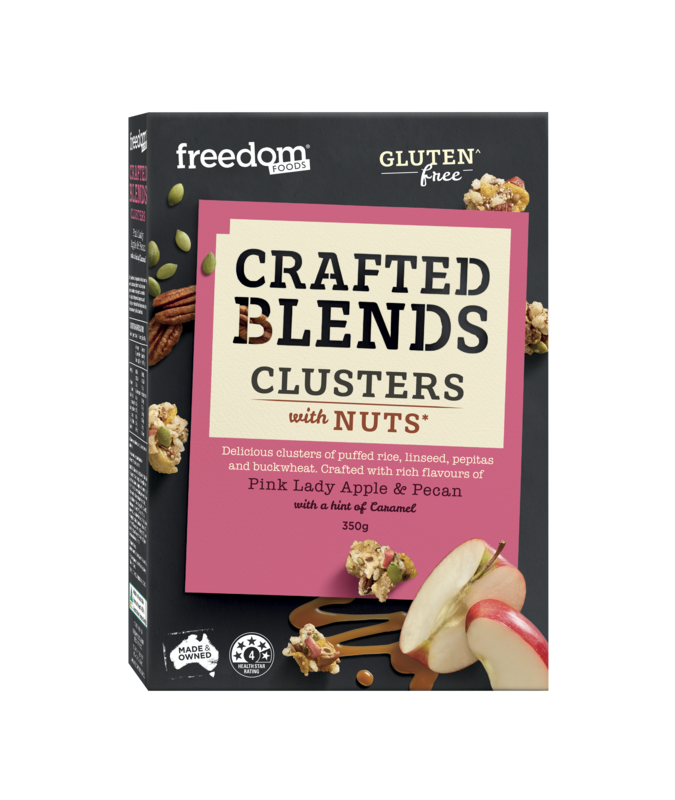 carefully crafted using a select blend of nutritious almonds and seeds (sooo good for you!) wrapped up using rich flavours, they’re sure to bring joy to your mornings. 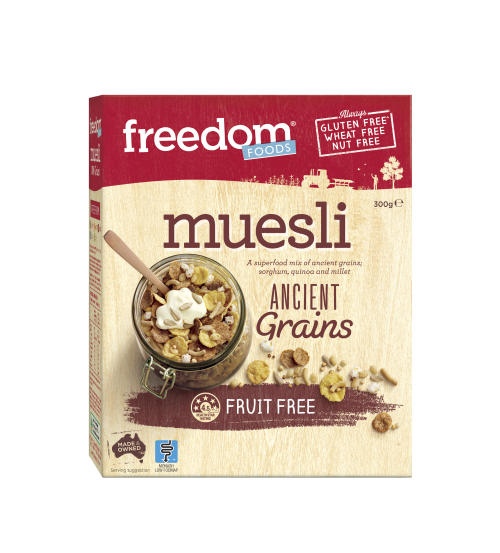 How we like them – rise ad shine to the mouth watering bowl topped with fresh fruit, and it to yoghurt, or savour the crunch when you just feel like a snack. 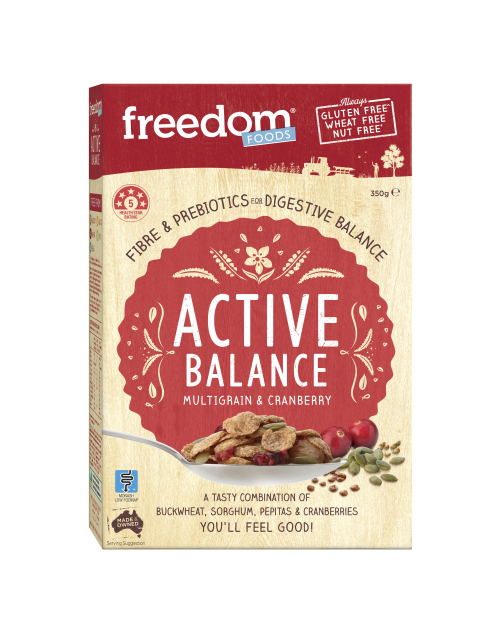 This is a high quality product and the only gluten free product of its type that I enjoy. Highly recommended. Love it, really enjoy the taste . Best cereal I have tasted in years.